Destra finds Noel and Kairi downtown and he attacks. They morph, but Goche arrives to help. Destra says he will set his pride aside and work with Goche to live up to Dogranio’s expectations. Goche uses gueris le monde to see everything she can about Kairi and allow her to precisely attack. Noel jumps in front to push Kairi away, but that means Goche has just used the piece of him too. She is intrigued by what she’s seen about Noel who is now worried. He quickly attacks her, but she easily handles him. Destra also whips around Kairi as well and both Kairi and Noel drop Collection Pieces. Destra is able to place them in his safes. He first uses Victory Striker’s power to predict Kairi’s moves. Then he uses Siren Striker’s control of gravity to keep both Kairi and Noel at bay. 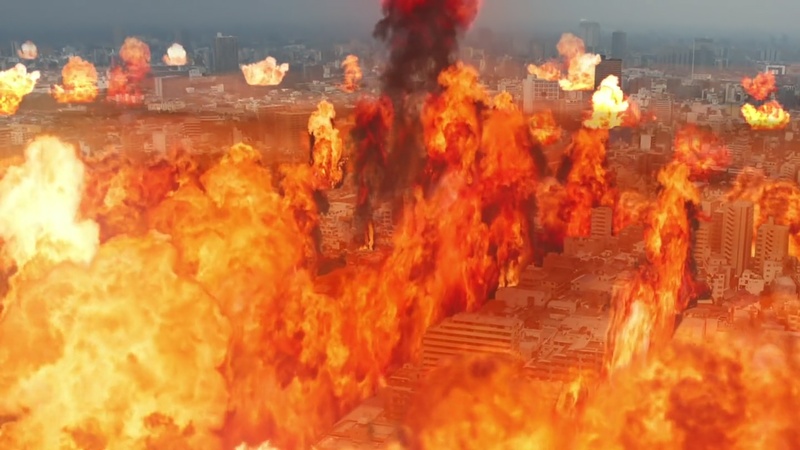 The Pats arrive, but Destra easily blows the entire city up into flames. Back at the GSPO, Jim Carter confirms 13 districts in the Hirosawa district have been completely leveled. He also tells them about Noel reporting the Pieces Destra was able to take. Over at Jurer, Kogure bandages up Kairi. Kairi mentions how jumpy Noel seemed against Goche earlier. Hearing this seems to tense Kogure up as well and he tells the Lups to let him make sure Noel is alright. 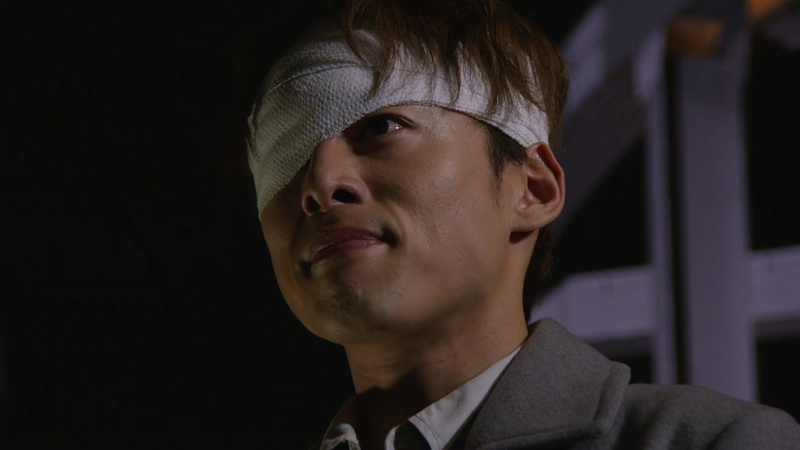 Kogure tells the Lups to rest while he continues to look into the situation. Good Striker finds Noel on the stairwell and asks if he’s alright. Noel says he might not be. Commander Hilltop warns the Pats that the GSPO is Destra’s next target so they must be prepared. But how? The Lups, meanwhile, think about how they can be able to take on Destra while trying to swipe the Pieces back. 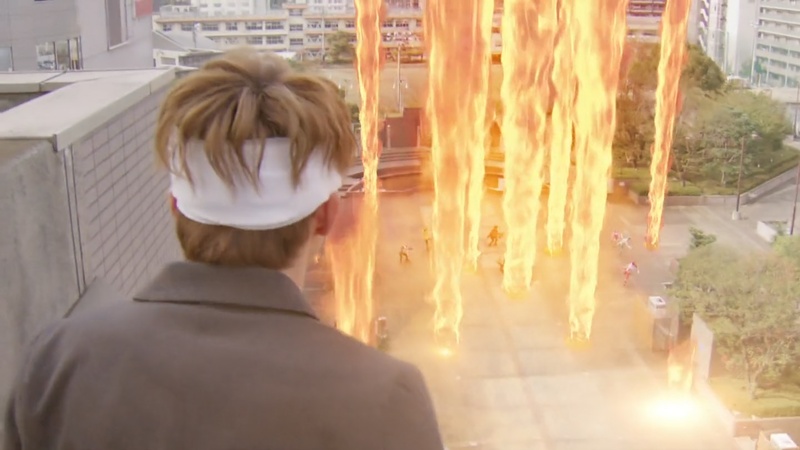 Both Keiichiro and Kairi decide they will use the other team for their end goals. That night, Kogure finds a one-eyed Noel. Kogure knows Goche used gueris le monde on Noel. Noel apologizes. Kogure says this is the reason he wanted Noel to stay at the manse in Paris. Noel replies that he couldn’t just sit around doing nothing and lose even more. Kogure points out that Noel’s recklessness cost them more Pieces. They must work from the shadows in order to prevent more disasters. He warns Noel not to get involved in any more battles. Next day, the Lups and Pats prepare as the area around the GSPO is evacuated. Destra arrives at the GSPO’s front door and the Pats run out to meet him. The Pats morph and they battle. The Lups also arrive and morph. They wait for what they think is the perfect chance to open the safes, but Destra is one step ahead of all of them. Destra saw through their plans and is ready to just kill them all here and now. Noel watches as the Lups and Pats try to gain the upper hand on Destra, but it is not working. He thinks about them giving it all their all while he’s just standing here watching. The Lups and Pats are all forced to dehenshin. Destra grabs two more Pieces the Lups drop. Kairi and Keiichiro look at each other, and they seem to be thinking the same thing. They won’t give up yet. Kairi shoots at Destra from behind and morphs. He then uses Lupin Magnum. But he has a plan. He shoots himself backwards into Destra who is able to see what he is planning to do. Kairi is able to break through the gravity barrier. He then turns around and shoots a finisher at Destra who begins to reflect it back. As Destra does that, Keiichiro shoots at his hand, dropping the Pieces. Keiichiro uses them to open the safe and take the Piece which releases the reflective gravity power. That allows Kairi’s finisher to hit Destra dead on. Noel flies in and grabs the two Pieces that fly off the safe and uses them on Destra’s other safe. 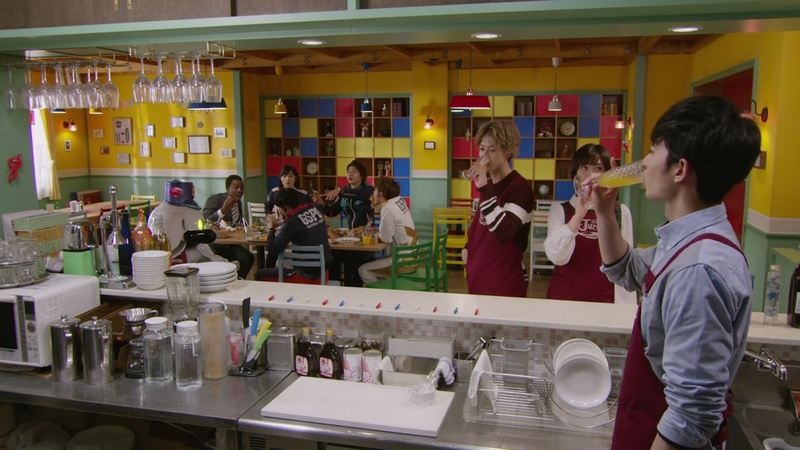 Keiichiro and Kairi acknowledge their great unspoken teamwork. Noel apologizes for being late, but Keiirchiro and Kairi knew he would come. Destra fires at them and they all morph. Kairi and Noel go Super and the Pats go Ugou. The teamed up LuPats fire finishers at Destra and that seems to unleash an atomic bomb on him as he explodes. But he’s actually fine. He calls on Goche to embiggen him for Dogranio-sama. Good Striker flies in. The Lups and Pats hop into Good Feeling Kaiser VSX. This time, Sakuya and Umika are in one cockpit and Tsukasa and Tooma are in the other. Good Striker says this will help them be stronger than ever before. The LuPats use their entire arsenal on Destra before delivering a Good Feeling Kaiser Vehicle Burst Magnum. Destra tries one last missile attack. But it’s not enough. Destra apologizes to Dogranio-sama before he is finished off for good. Down in the underworld, Destra excuses Goche and drinks to Destra alone. Over at Jurer, the Pats are enjoying a party to celebrate mission accomplished. The Lups enjoy a drink for themselves as well. Well, this episode started off well, but it kind of had an unsatisfying ending. I do like the Lups and Pats finally working together again, but of course not fully yet. But I was expecting a little more on Noel’s (and Kogure’s) big secret. (I expected a big cliffhanger at the end.) And it was a very unceremonious end to Destra as well. With Destra, they seemed to be setting up something much more to him throughout the season. They even played up the tension between Destra and Goche too. But in the end, none of that meant anything and Destra’s demise played out more like a regular MOTW’s demise. And that’s very disappointing. While more often than not, deaths of generals are indeed underwhelming. But of course I was hoping for a little more excitement here. There really wasn’t much build up to Destra finally stepping up like this despite the few times he took the lead throughout the season. Now I honestly don’t expect much from Goche either. 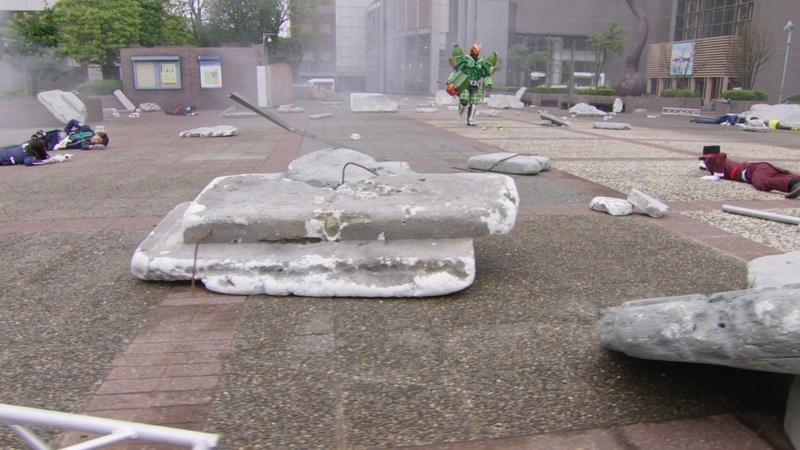 Just like Naria in Zyuohger who was used similarly, she’ll get a MOTW-type demise as well most likely. And that’s sad. I would put a little more meaning into Dogranio’s reaction at the end of this episode. But it probably doesn’t mean anything extra. So the endgame’s success rests in Zamigo’s hands. Elsewhere, I needed sterner Kogure like that convo with Noel. They should’ve played up his being suspicious a little more through the season, or at least these last couple of episodes. Especially if we’re to believe Noel’s secret is a little more noble in nature than Kogure’s maybe. It’s a good contrast. Overall, there was great action, but not much substance in the plot unfortunately. Even though half the city was killed in Destra’s first explosion. We’re right back to the Lups and Pats fighting each other next episode it seems anyway. And it was a lackluster demise for Destra who was a season-long general. And I think it was great team-up episode. Both Lups and Pats came up with the same idea, they read in each others’ mind! And, Noel and Kogure’s secret is even more mysterious than ever! First and foremost, what an awesome episode this is. For last episode, it sort of like Tsukasa taking most of the ground fight, in Gangler’s world while other Pats help for the finisher and then Lupins handle the giant fight and that’s it. For this one, in my opinion, it feels like the barrier that separates both Pats and Lupins are gone. For once, the team, as in their leader had done something out of character that is own by the other team on their own accord, like Kei-chan opening the safe while Kairi do the job of being the bait. Having other members of Lupins and Pats complementing their opposite team leader’s and stuff, it’s great that they actually acknowledge each other as being reliable allies, at least in fight where none of the teams can win on their own without working together. Yes, good to see that the other core members of Pats and Lupins mixed instead of being segregated to just their own kin and the irony where Kairi and Kei-chan getting along for the second time in VSX. Oh, just wish we could have Sakuya and Touma in one room while Umika with Tsukasa in another for the next VSX formation, which may possibly be the last, against Dogranio. Let’s not forget that no matter how much Dogranio doesn’t seem to care about his minions, seeing him mourning for Destra as if they were both good loyal friends to each other showed that our big boss isn’t all selfish and heartless, at least to his own kind. Indeed, overall I think it is a good episode. You don’t actually see Lupins taking all the spotlight from the start to the end, unlike earlier episodes after 30. I could see that Pats, Lupins and even Ganglers played the plot nicely, even though for the rangers, it’s more on Kei-chan, Noel and Kairi. Likewise, even a good episode like this can be improvised to be much better. My thoughts for that was mainly on the mecha fight. 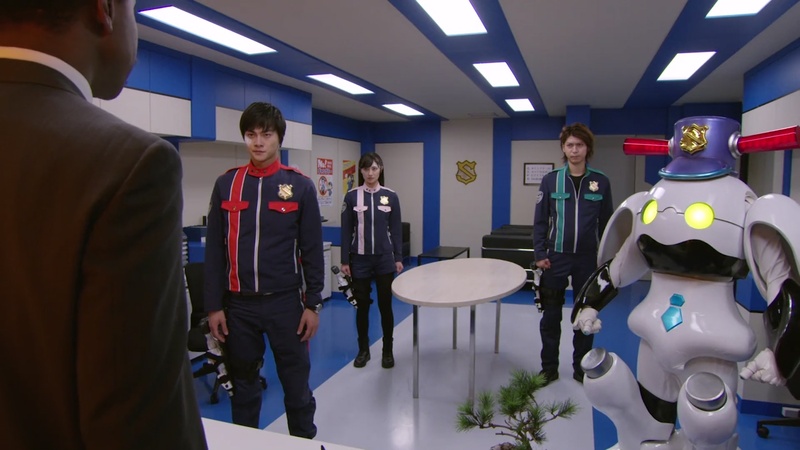 Since we already have Sakuya and Umika in one room while Tsukasa and Touma on the other, it would had been better if the upper arms (where Blue and Yellow vehicles were in VSX Formation) changing were all a mix of Trigger Machines and Dial Fighters. What I want to say here is was first have Touma and Tsukasa respectively summon Scissors Blade with Crane Drill. Afterwards, Sakuya and Umika sent Biker and Cyclone. The order for the first and second are interchangeable so it does not matter which one come first. Afterwards, hypothetically, Kei-chan and Kairi sent can sent Splash and Magic for the third time before finishing with Lupin Magnum. Just wish Kairi would actually give a chance to share Splash with Kei-chan, even if it is for this kind of moments only. That could have been the best one I could ever think of, mainly because Cyclone, Biker, Scissors Blade, and Crane Drill were only arms while Splash and Magic had head replacement, along with Siren and Victory, which could had been held by their respective leaders, provided that if the VS Vehicle types goes to their designated owners in theory. I am not going to complain about toy distribution but just wish since they are fighting as one big team, everyone deserve to have their own share of vehicles. As for Ganglers, I just wish we had more background on Destra, at least give it within episode 30-40 before reaching his demise. 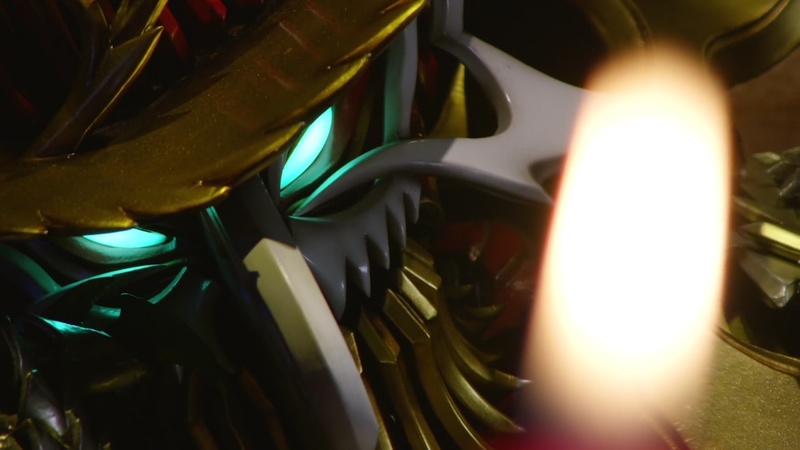 While Jyuohger and this series were written by Komura Junko, we didn’t have that much of Quvar or Azauld history with Ginis in this series. For this part, I refer to the history between Destra and Dogranio. 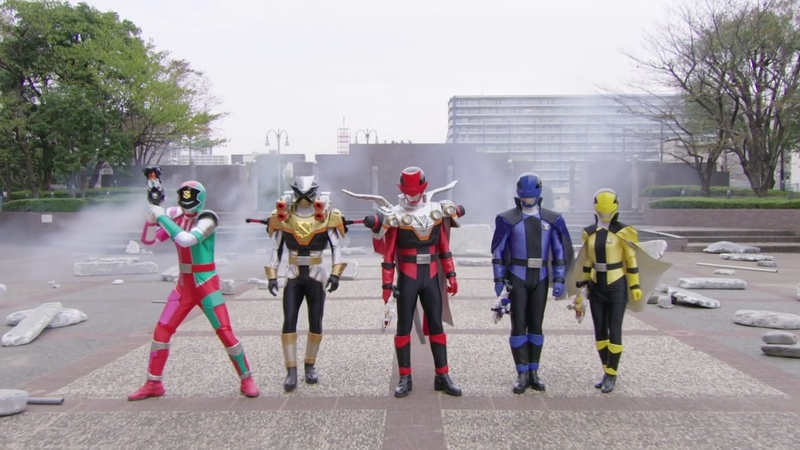 Just wish they give more effort for these villains to have something worthy for us audience to note rather than just all the rangers. Of course, the aim for the minions to commit crimes in human worlds was to be the new head of Ganglars so there’s no need to rebel against their current leader just to take over his seats but wish we can have some internal conflicts between villains. 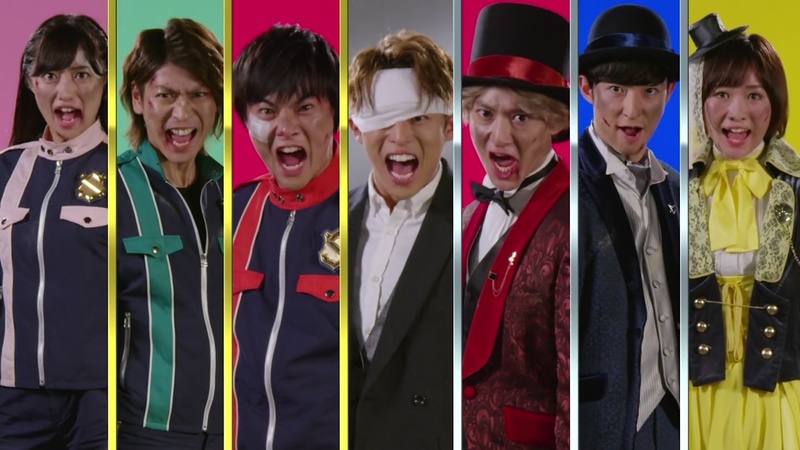 Oh, speaking of which, the VS Concept that came to my mind was that this series should have one core member, each from Lupins and Pats having conflict on which side do they want to be more supportive. The girls seems good enough because they sometime had their own conflicts, at least I think so. I mean, there is nothing wrong about putting a little twist on that. 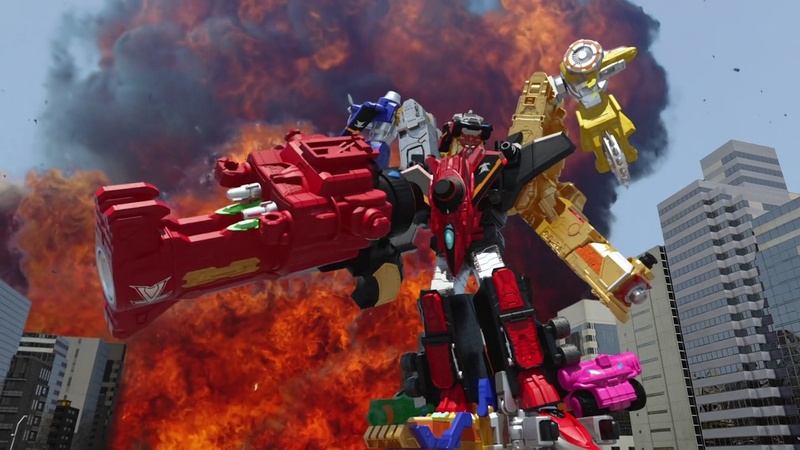 That way, I think the toys distribution would have been more better, especially when a core member of Pats joining Lupins and vice versa in the mecha fight. That is all I think. I just hope the remaining episodes could be as good as this if possible. Pats had been behind the curtains for too long, even if they are supportive characters and they were shoved off for the favour of Lupins to promote new toys. My reason for it was mainly because this series name was Lupin VS Pat not, Lupin featuring Pat. A lot of great points again! Thank you. ToQger were mainly written by Kobayashi Yasuko along with Shinkenger and Go-Busters. At least, in my opinion, Shinkenger was actually be one of her first best written Sentai stories after Gingaman and Timeranger and before Go-Busters and ToQger, which more or less covers every character had their background covered. While she did wrote Kamen Rider Ryuki, Den O, and OOO, her Sentai stories shone and interest me more compared to her Kamen Rider stories. 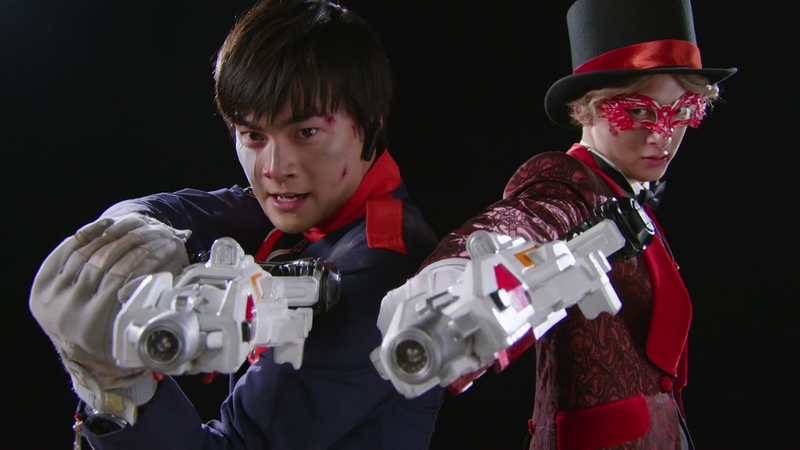 Well, Lupin VS Pat was Komura Junko’s second Sentai story, where her first one was Zyuohger. Can’t blame her for everything that had already happened but this series might have actually rivaled up to ToQger’s level of awesomeness if only the second half of this series wasn’t all Lupins for the sake of toy promotions. I mean, if the series made the stories to have Pats being the rightful owner for Splash and Siren Striker in their own logical situation like for Crane and Drill, that would had been great. After all, the early Toy Catalogue for Splash was meant for Pats, not Lupins. That was changed last minute on the spoilers for September. Furthermore, the toy for Siren Striker was actually designed for Kei-chan, especially its colour scheme was based on Kei-chan’s police uniform and the toy sounds on the VS Changer had already installed Great Patrise, Chou Keisatsu Change and Patranger when it reads the pin on Siren Striker. Do note that the sounds was actually there when the VS Changer toys first came out, meaning this series actually meant for equalisation, not in terms of which team the public or children favours more. I’m certain that Kogure Behind Zamigo frozen Lupin’s loved ones. To Retrieve Lupin Collection and Protect Noel. 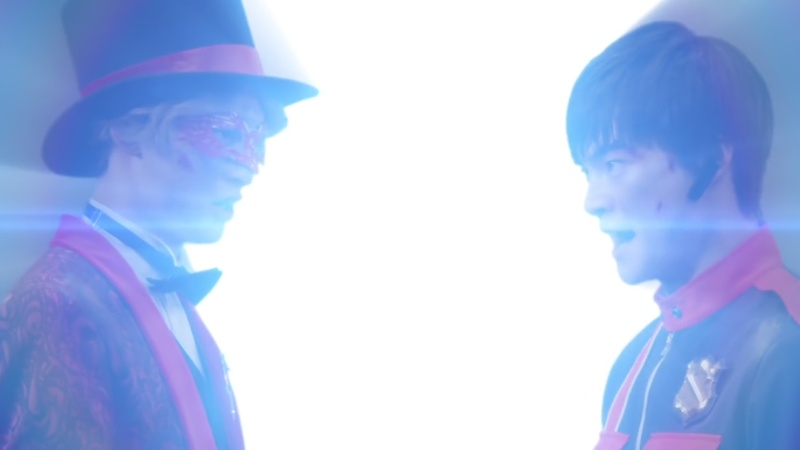 And Then Hire Zamigo frozen Their loved one to force them become a Kaitou. He probably keep Their loved one inside the book (or imprison somewhere else) and will give them back to Kaitou after Retrieve all Collection. That would be interesting! I just hope Kogure’s secret is very big like that.